The Kurds were known as fierce soldiers since ancient history. They bravely fought the invading Muslim armies in Persia and Iraq, and decades later they converted to Islam to participate in the Islamic conquest of Central Asia. 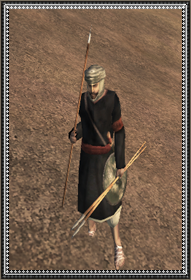 As such, a wise caliph searching for brave men of stout heart and competant skill in war need look no further.